I’m still having problems with the initial position, with the viewpoint sometimes starting high up in the air and a long way from the object. I also note that when cycling through annotations, the viewpoint is different if I use the ‘K’ key compared with use of the menu, though this may be a seperate issue. 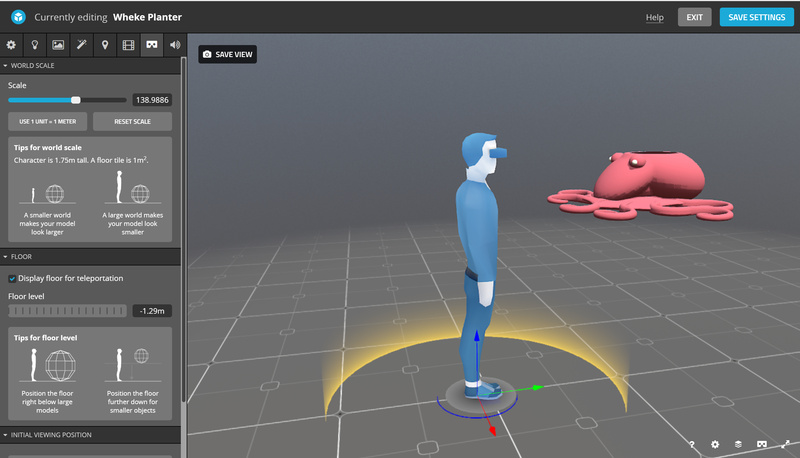 @XMT Can you please share the model link and tell me what VR setup you’re using? It’s working flawlessly for me now. Thanks a lot for the effort. The view point is set on the lip of the snail shell (it’s a big snail). I’m using Windows Mixed Reality with Edge browser. If I use Chrome, I just get a side-by-side image in the browser and the view point is correct. Edge on another computer without WMR does the same thing, it’s only the immersive view in WMR that is wrong. I believe you have to start the SteamVR service first if you want to use Chrome. It will see that running and send the content to the WMR headset. Same with any other source that is not Microsoft specific. Just to report that it is working perfectly on our end now, thanks for much for your work on this! I don’t have Steam installed at work as Edge works directly with Windows Mixed Reality. I’ll try that at home (where I have Steam) and see if it is any different. We’re featuring lots of Sketchfab content there, can visit hundreds of Sketchfab environments without leaving the headset. 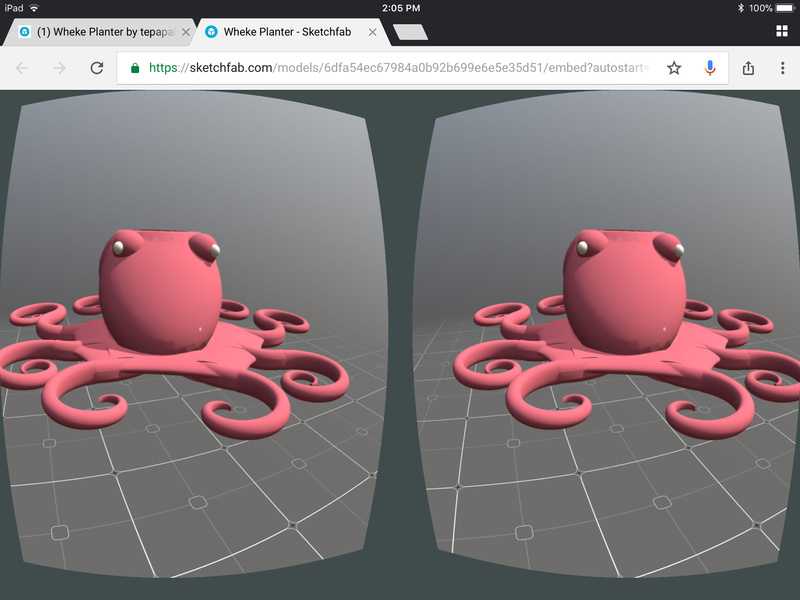 Also links to Sketchfab’s own VR index page. Hopefully will drive people to view people’s environment actually in a VR headset! 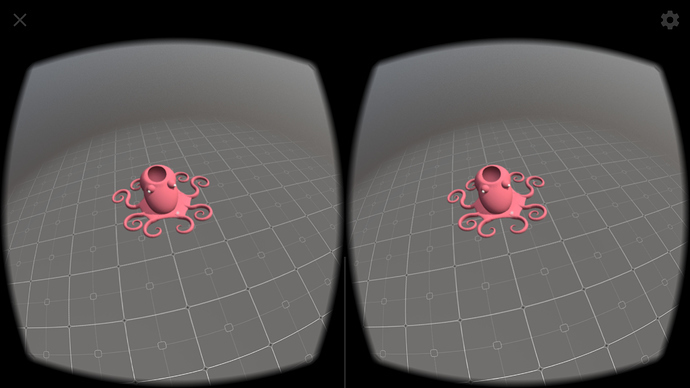 WMR works through Steam with Firefox and the initial VR position is correct. For some reason it will only show one controller according to which button I press. Each time I switch controllers the pointer ray tilts down about 30 degrees until it wraps right around over the top again. We used to then be able to go to the model on a mobile and then trust that when we hit the VR button it would load with the perspective settings we had set. We can still use the screen tap function to readjust the view back to where we want it but it defeats the purpose of changing any of the VR settings for us. For some reason it works on an iPad through chrome but it still isn’t working on an android phone on either chrome or the sketchfab app. It isn’t resolved for us. All we want to do is make it work on a phone in a google cardboard viewer the way it used to. See my reply above. Unfortunately this isn’t much use as they won’t fit into a cardboard viewer. Thanks, we’re looking into it again. It has a unique number index which controls its direction. In your case, It may be a hardware issue, So you can check it. If anything If you got anything wrong then downloads the latest update because few things have been changing in its feature. Or If your touchpad issue of the laptop then go to hp laptop touchpad not working for a right solution.